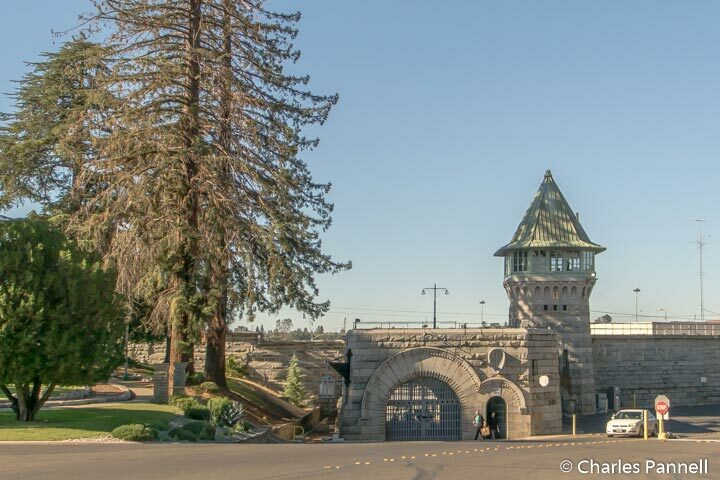 Driving along Prison Road the sight of the massive granite walls of Folsom State Prison are unmistakable, as you get closer and closer to the nation’s first maximum-security prison. Interestingly enough, the granite for the walls was quarried by the prisoners, and the imposing structure was later built by inmates back in the early 1900s. That’s just one of the interesting facts you’ll learn on a visit to the Folsom Prison Museum (www.bighouseprisonmuseum.org). To be honest, visiting the museum is a tad bit intimidating, as it’s located just inside the prison grounds. That said, I timidly approached the guard after following the “museum” signs that led to the prison entrance, and hesitantly stammered, “I’m looking for the museum”. I heaved a giant sigh of relief when the guard cracked a smile and enthusiastically directed me to the museum entrance, located just beyond the checkpoint. Accessible parking is located across the street from the checkpoint, and there’s a level pathway over to the ramped museum. Inside, quarters are a bit tight in the historic structure, however there’s still room enough to maneuver a wheelchair around the exhibits. The tiny restroom is not accessible — so plan ahead — and there’s about a half-inch step down to the Johnny Cash room, but again it’s all quite manageable. Operated by retired correctional officers, the museum features an impressive collection of weapons, shackles and confiscated items. Highlights include a hand-cranked Gatling gun, a substantial number of inmate-crafted firearms, and even a homemade bomb. Add in some old gas masks, an operating table and even Rick James’ guitar, and you have a very eclectic collection. There’s also a sizable display of things made from everyday items by the inmates, including a purse made from potato chip bags, a Ferris wheel crafted from a quarter-million toothpicks, a hangman’s noose made from toilet tissue and a number of creative soap bar carvings. A large collection of California license plates also adorn one wall in this room, just to remind folks where they are all manufactured today. There’s also a room devoted to Johnny Cash, who visited the prison and recorded a live album there in 1968. There’s a load of photographs of Cash and his wife at the prison, along with his own “gag” mug shot and even some stationary from the Sacramento hotel where he stayed. It’s definitely a must-see for any Cash fan. Unfortunately there are no public tours of the prison, but I found the checkpoint guard to be quite chatty and very informative about the history of the facility. So go ahead and ask a question or two on your way out, and see what kind of a conversation develops. You may get quite the narrative! 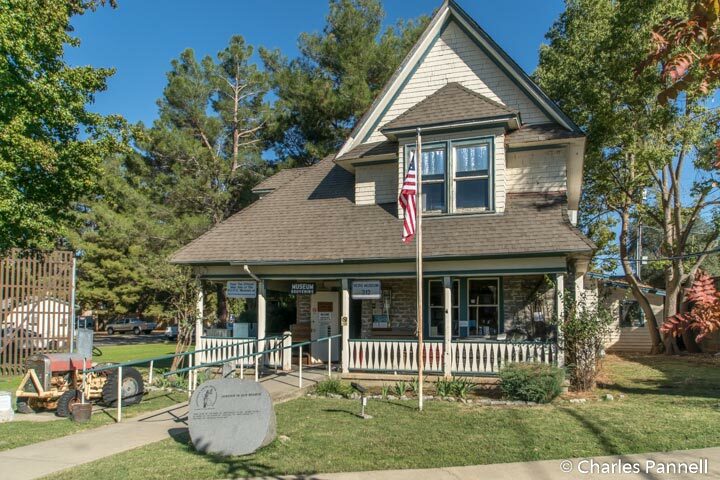 Granted this small museum doesn’t warrant a dedicated trip to Folsom; however if you’re heading to South Lake Tahoe on Highway 50, it’s definitely worth a stop. Just take the Folsom Boulevard exit, turn left and then make a right on Natoma Street. From there turn left on Prison Road which dead-ends in the visitor parking lot. And when you’re back on your way to Lake Tahoe, take note of the granite mileage markers along the road, as those were also crafted by Folsom State Prison inmates.